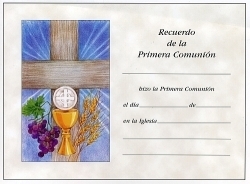 Certificados de la Primera Comunion. 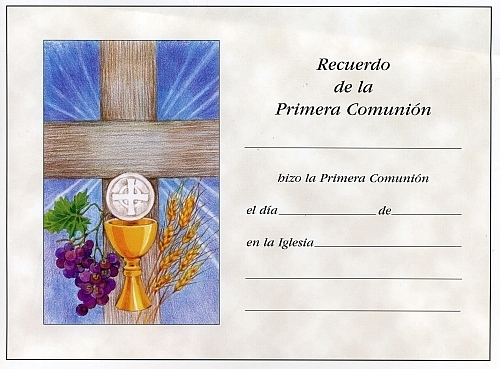 These Spanish First Communion Certificates feature a chalice design in front of a cross. The artwork also includes wheat and grapes which are the symbols of Communion. There is room to fill in the details of the day including the name, date, and place. Includes envelopes.